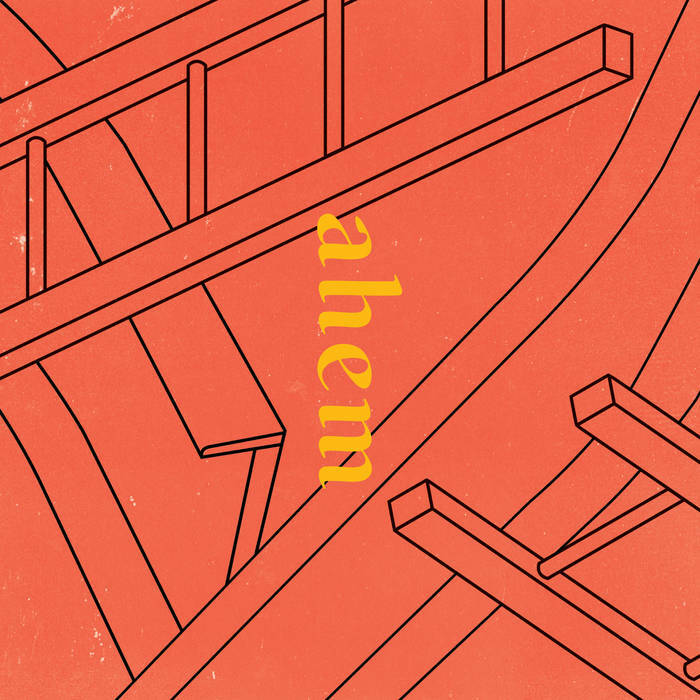 AHEM - "Chutes & Ladders"
"I climbed a tree last night, and I went a little high"
Chutes and Ladders is a playful and powerful pop EP from Minneapolis band Ahem. Energetic and clear guitar riffs and bright, well-harmonized vocals deliver a sugar rush of jubilant summer rowdiness. Yes, I said summer. I don't care if there is a song on here called Snow Day - even this track is so vibrant and life-affirming that its calls for "let it snow," go unheeded - and instead I'm picturing an afternoon being a stupid kid at the lake with a bunch of other stupid kids. "You and me - we're roots, not leaves"
There's nothing but youthful bliss on this five-track outing. Alyse, Erik, and Sam have excellent chemistry and have honed a razor sharp sound that is as precise as it is fun. Don't believe me? Pop this in your car and just try not to feel a pang for happy carefree adventures in the sun. Can't be done. Newer Post[Album of the Month] RANGERS - "Late Electrics"
Older Post土星４ＩＯ - "紫色の ホタル"